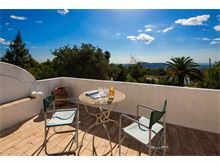 This delightful property is set in the hills overlooking Loule, offering guests peace, tranquility and privacy. 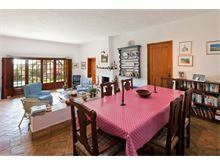 Its elevated position commands breathtaking views of the countryside and down to the sea in the distance. The interior has rustic charm, with the convenience of modern facilities to create an environment perfect for comfort and relaxation. 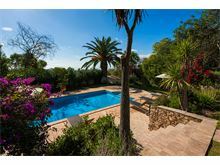 The particularly secluded gated pool is reached across the lawn and down steps from a shady covered terrace with built in gas barbecue. There is a large pretty garden with an abundance of flowers and fruit trees and a short tennis court. 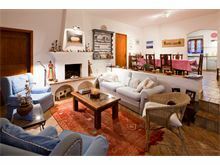 Nearby there is a horse riding school and the surrounding area is perfect for country walks. 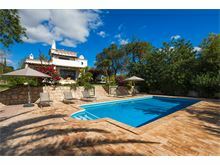 Casa Griffith is next door to Cabana do Tomas, a very similar property, that could be suitable for two families who wish to holiday close by. A 20 minute drive from Faro airport and only 5 mins from the bustling market town of Loule with its lively restaurants, bars cafés and shops. The beach is approximately 15 kms. 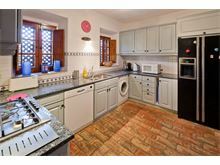 Entrance hall, well equipped kitchen including washing machine, microwave -dishwasher and large double door fridge freezer. Archway to dining area and two steps lead down to the sitting room with TV and DVD. Ground floor, 1 twin bedroom with en suite shower room, 1 twin bedroom with doors to a terrace, 1 bathroom. 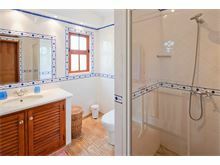 Upstairs is 1 single bedroom and the master double with full bathroom en suite with walk in shower and large private terrace with superb country views to the sea in the distance. Maid service 3 times per week. 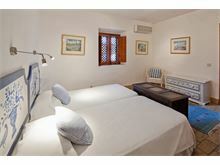 Air conditioning (bedrooms and kitchen only) and Wi-Fi are available at extra cost, if required. 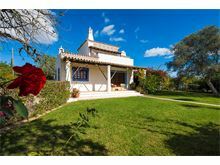 Superb, traditional villa set in a wonderful garden with distance sea views. Generally peaceful and very well equipped. Good access to Loule and its supermarkets / shops. Beautiful weather and lovely places to visit. and 2 girls, 8 & 6). Stayed at this beautiful villa with my husband and elderly mother which seemed luxurious with four bedrooms and three bathrooms but nevertheless allowed Mum to stay on ground floor with full amenities. 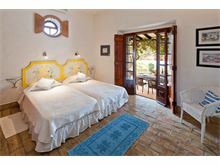 The facilities were excellent and plentiful but fully enhanced by the character of the villa and the tasteful furnishings - the views from the main bedroom terrace on a clear day were stunning. We all enjoyed the pool and the tennis court nearly every day despite it being October and unsettled weather, the gardens and mini orchard also enhanced our enjoyment. The villa cleanliness inside and out was spotless and the maid service was excellent. We thoroughly enjoyed our stay but a hire car is essential. 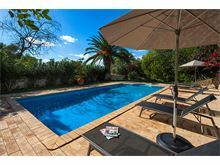 We would fully recommend a stay at Casa Griffith with its quality facilities and good location to the beaches and cultural sights of the Algarve, but its true charm clearly lies in the love and care that has been bestowed upon it both inside and outside. We hope to return! We had a very enjoyable and relaxing holiday. The sea front was very busy, so we were glad we booked a villa a bit further inland in the hills. It was lovely and quiet and the villa had all the amenities we required. Wonderful location. Secluded and private - but not isolated. Fabulous views. Beautiful garden. Superb pool area. Comfortable beds!! Have a great day outside - and sleep well at night too!! The villa is very well equipped. We loved it! We all thoroughly enjoyed our stay at Casa Griffith. 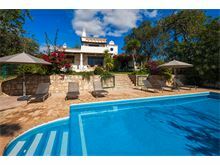 The location is ideal, allowing you easy access to the beaches and restaurants on the coast whilst being able to get away from the hustle and bustle spending lazy days by the pool in the beautiful gardens at the villa. 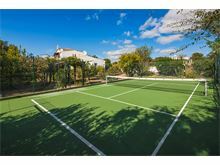 The tennis court is perfect to keep active young boys busy and the house if wonderfully homely, clean and well equipped. We can't wait to come again! This is the second time we have stayed at Casa Griffith. The villa is full of charm and the garden is beautiful. We made extensive use of the swimming pool and tennis court and this year we had the bonus of the White Night festival in nearby Loule. The week did not feel long enough....we had a great holiday! 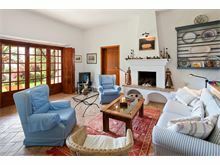 A beautiful villa in good location, close to Loule for shops and restaurants and only 20mins from coast. Most comfortable beds ever on holiday and facilities great. 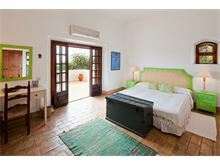 Beautiful villa with lovely views and very pretty interiors. We had a wonderful holiday here. We’ve stayed at Casa Griffith for two years in a row and hope to come back again next year. It’s just beautiful - inside and out! 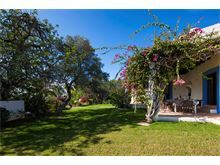 A really beautiful and very private villa surrounded by its own gorgeous garden and orchard. 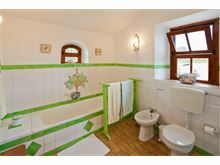 So homely and comfortable with beautiful furniture, comfortable beds and fantastic showers. 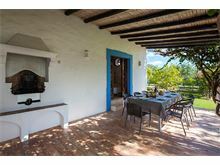 If you are happy to be tucked away, only 15 mins from the coast then this is the most perfect villa. 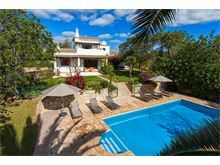 Beautiful and peaceful setting within easy driving distance of all the main attractions of the Algarve. 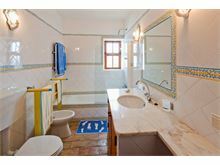 Excellent maid service and the villa has all the facilities necessary for a restful holiday. 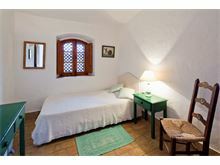 The villa was as described, located at the end of a single track road so quiet. The pool is a great size and we had amazing weather for our 2 week stay. Great haven away from the hustle and bustle of the coast.